We are one of the leading manufacturer and suppliers of Calcium Chloride Based Recovery Plant with the using of a high quality of a material. We have obligated to meet the industrial requirements and standards. 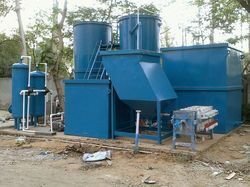 We are manufacturer and supplier to all domestic and international market for all kind of Water Treatment plants. We are expertise to offer end-to-end solutions for Water treatment plants. At raindrops we research, design and construct all Water and Waste Water Treatment Plants like Media Filter, Activated Carbon Filter, RO Plant, Softening Plant, DM Plant, UV Water Purification System, Ultrafiltration and STP. Looking for Chemical Treatment Plant ?